Guest blog- Fear to acceptance - My Journey to IVF. I read my guest blog post yesterday for the fist time and my eyes filled with tears, her words became mixed with the emotions and pain that I felt when it was me struggling with the thoughts of living my life childless.. Thank you Tabitha for sharing and spreading the word on infertility. Fear to acceptance - My Journey to IVF. Here’s where I am at the moment; Day 7 of my IVF medication and day 4 of my stimulation drugs, it has been a long and circuitous route. I had an inkling from the get-go that it wasn’t going to be plain sailing and this gut feeling was unfortunately proved right. Six months in and we went to get checked out by the doctors and following that we were referred to the hospital, where they ran all of the required tests, they all came back fine. I was relieved at this however my husband wanted a concrete answer, why wasn’t it happening? He wanted something to work with and searched for some answers. I spent my 20’s going from one long term relationship to the next, working and partying hard, with marriage never once appearing in my thoughts. When I turned 30 I moved to work abroad as part of a long term relationship but that ran its course after 4 years and the next few years saw a couple more relationships but no urge to settle down. I then moved back home to the UK aged 36 and announced to the universe that I was finally ready to settle down, and just a couple of months later, I met the man who is now my husband, on match.com of all places! We married when I was 38 and began trying straight away, but while the fears that I’d had about being in a marriage had dissipated, the baby fears hadn’t really. My husband and I had experienced a few issues whilst growing up; me with my Dad and him with his Mum, and I didn’t want to repeat any mistakes with a child of our own. I think when you want a baby from being very young you create this beautiful image of how it will be when you finally have one, as I hadn’t had that all I could see was us doing a bad job of it and me missing the freedom and independence of doing what I wanted when I wanted to do it. Rather than seeing all the positives, I could only see the downsides, and it was a huge inner conflict as I dearly wanted a baby, but I was also so scared of not being the right kind of mother to make it work. With each month we tried to conceive we began to row more regularly, partly because we were failing to conceive again and again, and partly because we had a few money worries, we’d moved to a smaller home and we’d got a very spirited puppy. These were really challenging times and I couldn’t foresee how we were going to be able to have a calm and stable relationship in which to bring up a baby. The universe of course responded to these fears by continually throwing a negative pregnancy test my way. I could, and will, go into this in a much longer blog, partly as it will be cathartic for me, and also because it may help someone else out there going through the same thing. For now though I will say I have done a lot of work on myself in the last 3 and a half years; through some counselling, healing, writing and working on creating better communication with my husband. We are now thankfully in a much stronger and calmer place and have only very recently moved into a place of acceptance that we do need some help with after all. All being well, next week I will have the egg collection and transfer and the next stage of this challenging but beautiful journey will begin. While I am not religious I am spiritual and I feel grateful that I have faith that whatever happens is what is meant to be. If it doesn’t work out this time, there is a reason; we’re either not ready to be parents or it isn’t going to happen for us. I hope I have the strength and resolve to accept whatever happens as it arises. Meanwhile I will keep on taking it one day at a time, feeling blessed that my family have helped us out financially so that we can try this option, and that my husband and my dog are by my side, surrounding me with love, and there for me no matter what. Recently I have been reading and writing about guest blogging, I think it would be a great resource for my blog to try to find a suitable guest blogger surrounding fertility, infertility, surrogacy, adoption or birth stories. Links to your site or requests must be included separately in your bio please. 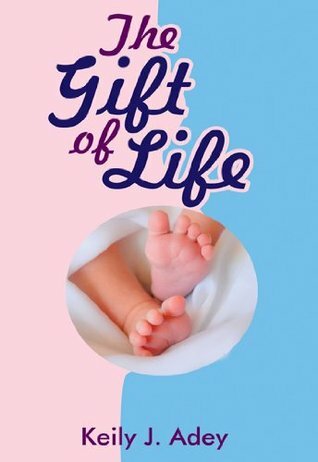 I am hosting a giveaway for my book 'The Gift of Life' starting on the 1st January 2014. click enter for a chance to win a copy.